When we went to Disneyland Paris Lottie was 2.5 and Romeo 15 months so neither had queuing capabilities. But we thought we would go anyway as they would only be on the little rides so queues wouldn’t be as bad. Someone mentioned to me if you are pregnant you should let them know at th information desk as you enter the park. So I did…didn’t have to show any info or anything as to be fair it was quite obvious as I was 32 weeks. They gave me a little card that was basically like a disabled pass. The French are extremely protective of pregnant women, they go out of their way to look after them. It meant on rides that I was able to go on…lots you can’t…but those you could you had a fast pass to getting on. You went through the exit and got straight on. And it isn’t just you…it’s the whole family! So no queuing for anything. I was a little embarrassed to use it to be as it is a pet hate of mine, pushing in queues! But then on the Saturday the queues were enormous! It’s a small world was over 2 hours!!! You could even use it in meet and greets with characters…I would avoid doing it here but like I say they are so caring they would see me in the queue and bring us all to the front! I had proper VIP treatment the whole holiday. People often say that the Paris Disney isn’t as good as Florida because the French aren’t as friendly as the Americans but this was totally untrue for me. I had a great experience. 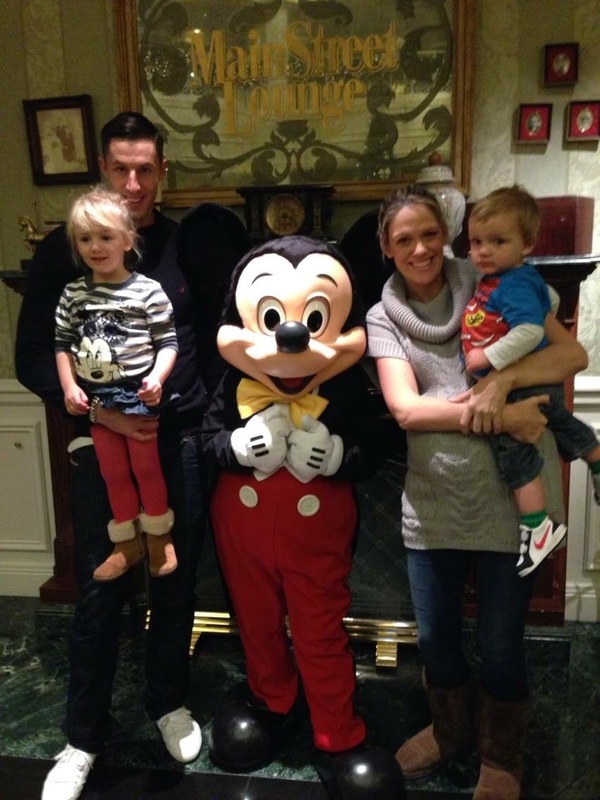 We booked into the Disneyland hotel which was definitely not a budget hotel but it was good for us having such little ones and being pregnant. We got up early and went for the extra magical hours in the park then came back for breakfast as the hotel is so close. We then saved on a meal a day as had a late breakfast and skipped lunch. Being close also meant we could come back for a rest/nap in the afternoon when the rides were at their busiest. For anyone who can’t afford Florida even on a budget Disneyland Paris is amazing. The park has a few less rides but it is exactly the same with the same layout as Magic Kingdom. It confused us a few times how identical it is. There are only 2 parks not 6 (including water parks) but you will get the same magic for kids. So don’t worry about not going because you want to save for the “real” Disney. To me this is just as Disney.